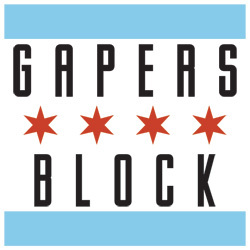 Gapers Block is proud to present 20x2 Chicago, a live event where 20 people are asked the same question and given two minutes each to answer in whichever way they choose. The results may take any form, from spoken word to music to film, and can be as varied as the emotions and reactions they evoke. This edition's question is "What's Next?" 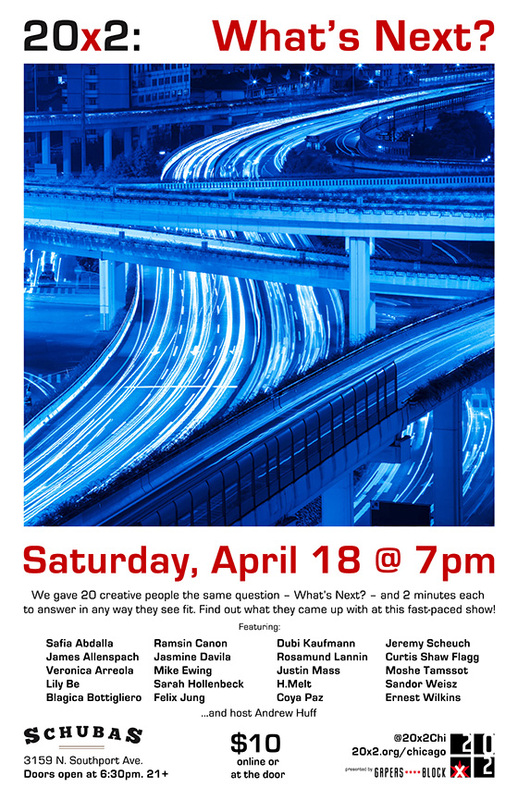 See the answers on Saturday, April 18 at Schubas, 3159 N. Southport Ave.
20x2 is a mainstay of afterhours programming at SXSW Interactive in Austin, TX, and Chicago is its first official offshoot. 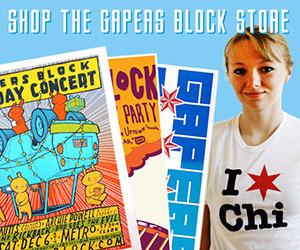 The last Chicago show was Oct. 21, 2014, and featured the question "How do you do?" Responses ranged from an arm-wrenching party trick to a giant "cootie catcher" game to a set of rules against small talk. Who knows what the speakers will come up with this time? Doors open at 6:30pm, show starts promptly at 7pm. Tickets are $10 online or at the door. The event is 21 and over.